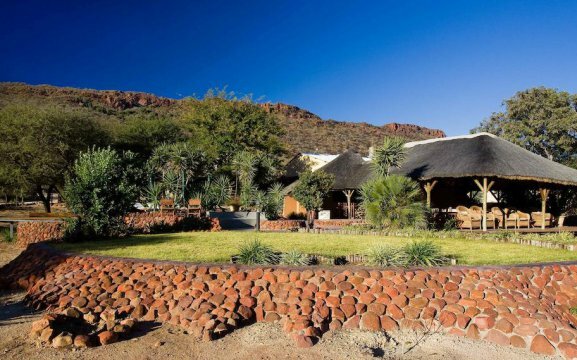 Waterberg Guest Farm is located right at the foot of the majestic Waterberg Plateau on a 42,000ha private cattle farm known as the “Okosongomingo” Ranch. From here tourists can head to the Zambezi Region, Victoria Falls, Okavango Delta, desert-adapted elephant excursions in Damaraland and the Kaokoland. 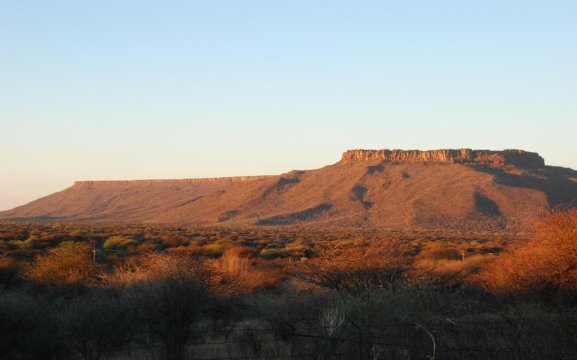 The Guest Farm was opened in 1955 by the German Harry Schneider-Waterberg. He is the third generation that carries on the family tradition of cattle farming. 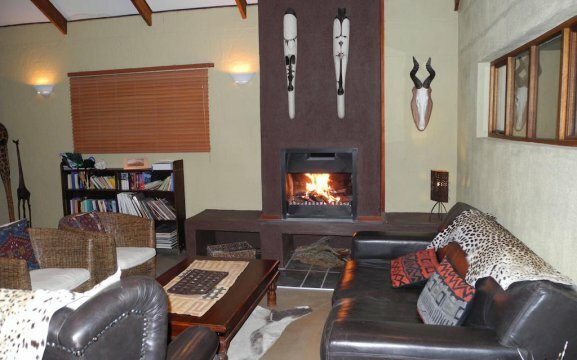 The main building comprises in a dining room, library and comfortable lounge. 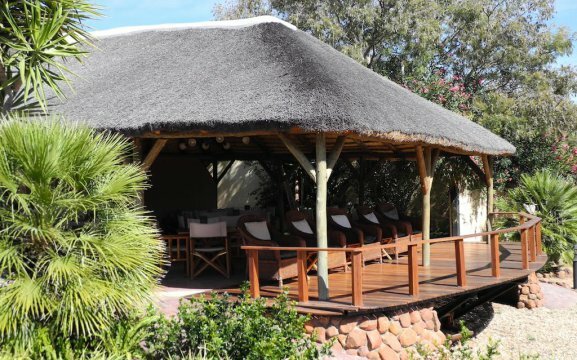 We have a Lapa and bar next to the outdoor swimming pool, ideal for wining and dining. We also have a floodlit waterhole at the wooden deck, great for animal viewing after a delicious meal. 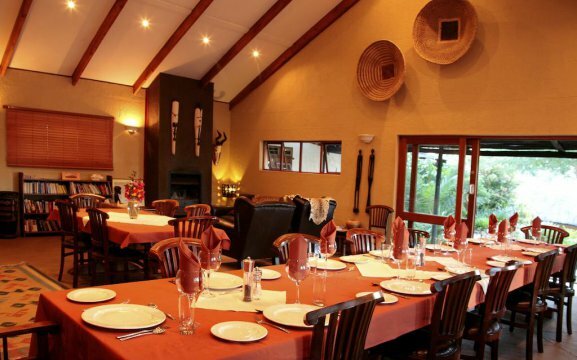 Our hosts like to share their broad knowledge on numerous and diverse subjects ranging from the local history and culture to wildlife and nature, conservation and near-by rural communities over dinner. 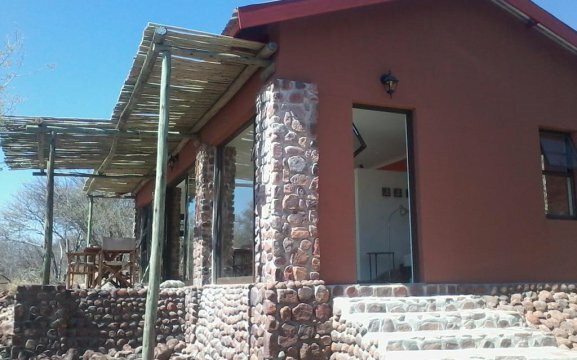 The accommodation at Waterberg Guest Farm is 5 Bungalows and 4 Double Rooms. 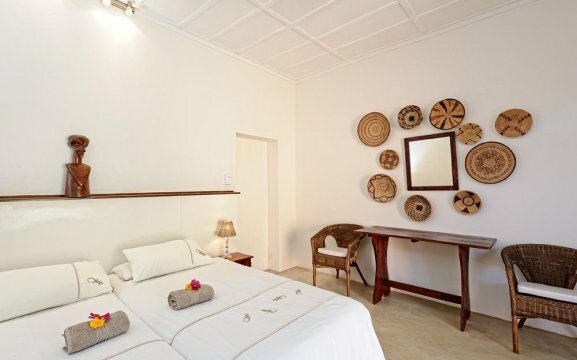 Each room features a safe, fan, cupboard, tea/coffee station and en-suite bathroom. 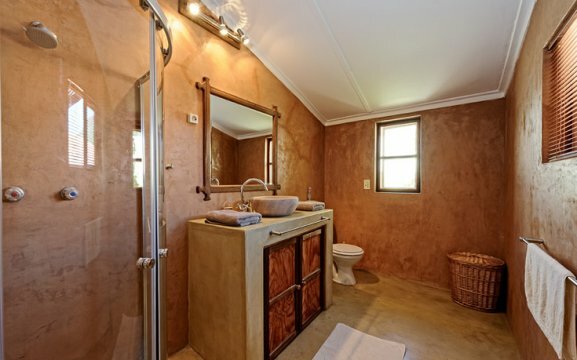 Our bush bungalows were built entirely of natural local materials. 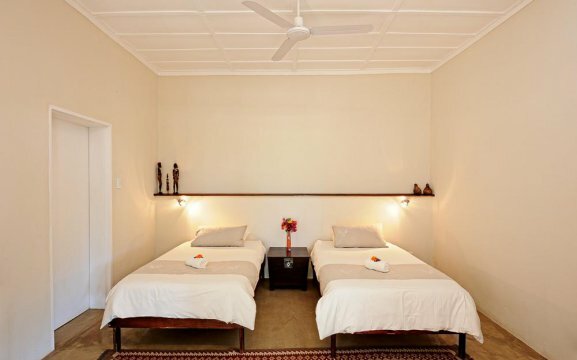 The Double rooms have a private entrance and veranda, while the Bush Bungalows have breath-taking views over nature. 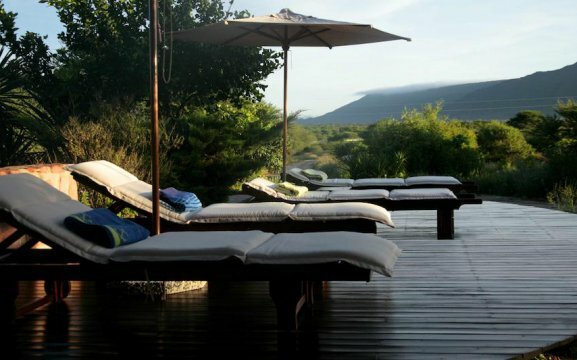 There is also a lapa area close to the accommodation units. 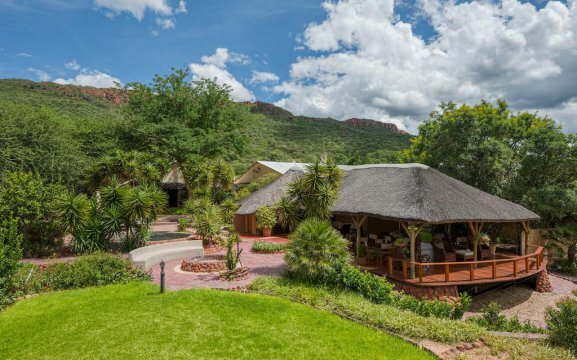 Conservation plays a very important role at Waterberg Guest Farm, with a total area of 180,000ha and is committed to the conservation of flora and fauna. The Guest Farm also breeds with wild Arabian horses. 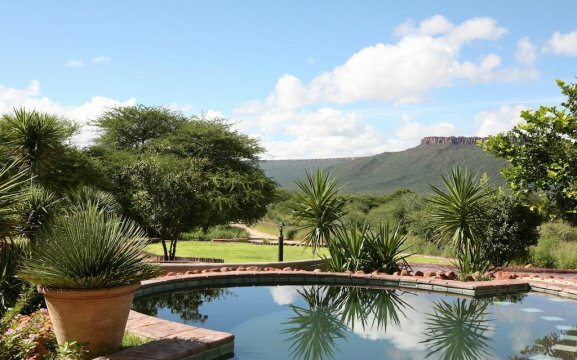 Relax at the pool with an ice cold drink after a long day in the bush, and look at the spectacular view of the blood-red Waterberg Plateau. 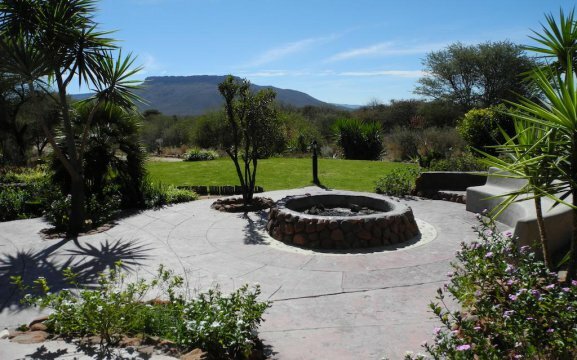 Activities include hiking, a visit to the Herero Village, Game drive to the Waterberg Plateau Park, the ‘Little Serengeti’, a visit to the Cheetah Conservation Fund and of course our wellness centre. 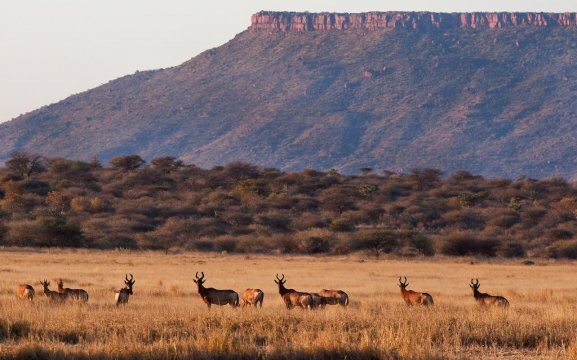 At the game drive, tourists will be able to see kudu, jackals, oryx, steenbok, leopard, giraffe, klipspringer, dik-dik, caracal, baboon, warthog, hartebeest and eland. Feel free to book a deep tissue massage, or medi- and pedicure at our reception.